If you own a Wii, gameboy and DS, chances are you’re a Nintendo fan. If you are, then here’s the ultimate game for you: the Super Smash Bros. for the Wii. People who’ve been playing Nintendo all their life are probably familiar with some of their characters; most famous are probably Super Mario and The Legend of Zelda. 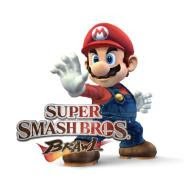 The Super Smash Bros. game features all of the characters of Nintendo’s games who are pitted against each other. Kinda like Tekken taken to the extreme cuteness. No word yet as to the availability of this game.